“mix a little foolishness with your serious plans. Yes – it takes the pressure off! 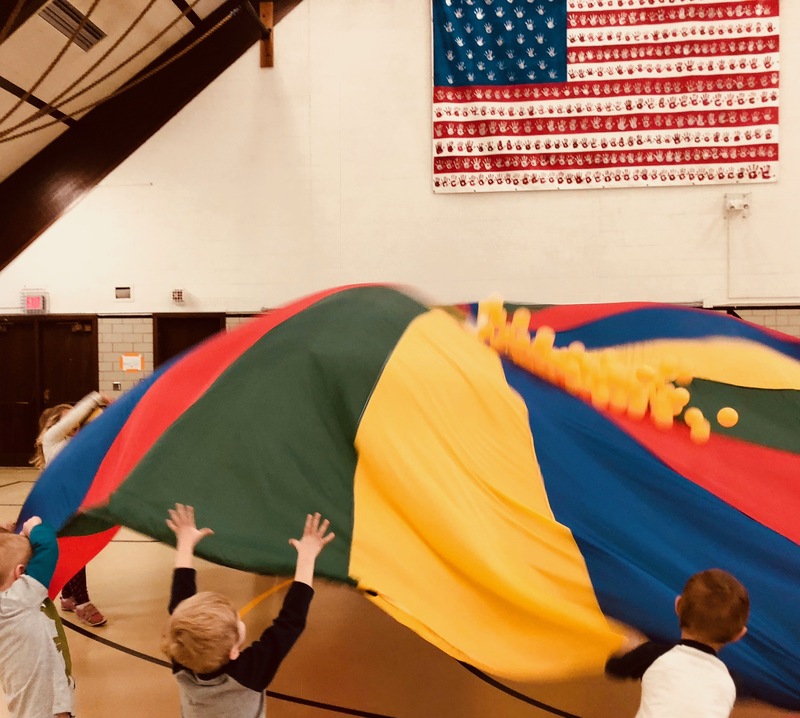 Oh, yes, our library kids adore the parachute fun so much as well, Beth. It is always the right moment to be silly! Yup.,,Have fun and enjoy each moment. I appreciate this wisdom today! Yes. Let it all go. What a nice job you have! Silly moments are the best ever!! I have fond memories of occasionally doing this in gym class as a kid. It was like having a snow day at school–a rare and wondrous occasion! yes, everyone always has a blast! Just noticed the flag in the background is made up of kiddos’ handprints. Wonderful!